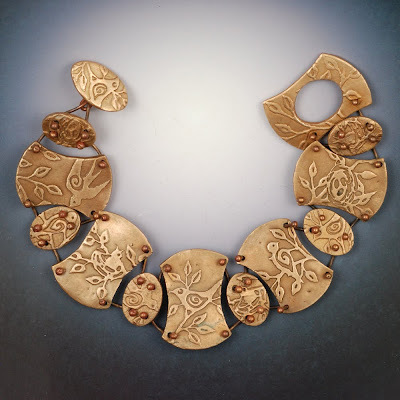 I'm thrilled to announce that my bronze bracelet, Flock, will be part of the 2010 Art and Design of Metal Clay Jewelry Calandar. 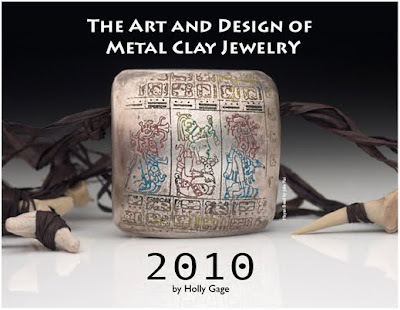 Designed by Holly Gage, next year's calendar includes images of 40 amazing jewelry pieces, selected from over 250 submitted images. Stones, enamels and found objects combine with silver, bronze and copper clays in designs ranging from romantic to ultra sleek. The calendar also handily lists shows, conferences and competition deadlines. Preorder the calendar now, for delivery at the end of October. Yay, Vickie! It's a beautiful, beautiful bracelet.